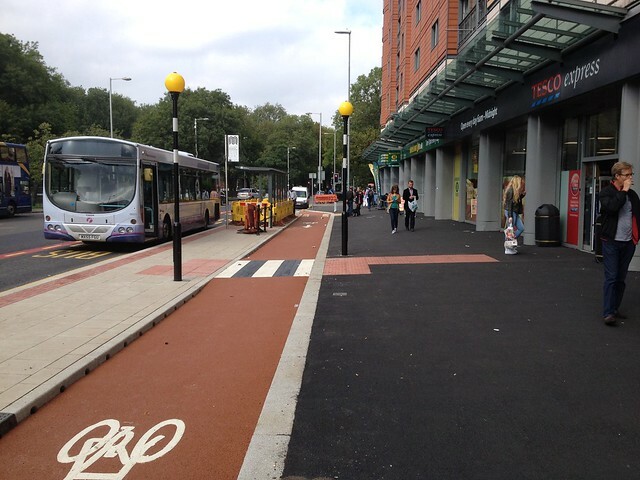 Yes, we're in Manchester this year, just after the city hosts Cycle City, Active City. Starting on 29th June, in the evening, we're reprising the Friday evening drinks we enjoyed in Glasgow. Read more about The AGM is coming to Manchester! Below is the Cycling Embassy's reponse to the Department for Transport's Cycling and Walking Investment Strategy Safety Review. Do you have any suggestions on the way in which the current approach to development and maintenance of road signs and infrastructure impacts the safety of cyclists and other vulnerable road users? Last year the Embassy launched the Insert Loved One Here image creator - a tool designed to shine a light on poor or dangerous cycling environments, asking whether we would want our loved ones cycling in them. To celebrate Valentine's Day, we've updated the tool, allowing you to show love for genuinely good cycling infrastructure - places where you really would want loved ones to cycle. The Cycling Embassy 2017 AGM will be at the Whisky Bond in Glasgow, on 15th-17th September. Early birds can arrive on Friday evening, when we'll be joining the Cyclehack team and presenting to them as part of their kick off. The Cycling Embassy is coming to Scotland! As a nation(s) wide organisation, and we know good (and bad) things are happening all around the country, so this year we’re bringing the AGM to Glasgow. The Embassy has submitted a response to a NICE consultation on draft guidelines, 'Air pollution: outdoor air quality and health'. Our suggestions to a number of points in the NICE consultation (in italics) are below. Our AGM this year will be on the weekend of the 16th/17th July, in the city of Cambridge. Please see our Lanyrd page to let us know if you're coming!